Enroll Your Children in Ruby’s Kids Club! Ruby’s Kids Club is a free benefit for members of WBGU-TV at the $60 level or above. Aimed at children ages 1 to 10, WBGU-TV hosts annual family-fun events that are free for Ruby’s Kids Club members! Also, throughout the year we tape Ruby’s Recipes cooking programs, and Ruby’s Kids Club members can be assistant chefs! 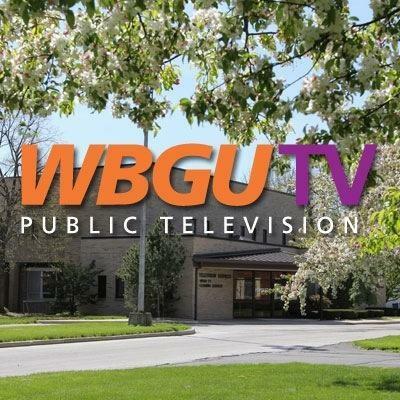 If you are currently a WBGU-TV member and want to enroll your children in Ruby’s Kids Club or want to become a WBGU-TV member and enroll your children in Ruby’s Kids Club, call 1-800-410-2727 or use the link below to enroll online. Your membership supports how fun learning can be through quality children’s programs like Ready, Jet, Go!, Daniel Tiger’s Neighborhood, Nature Cat, Splash And Bubbles, Dinosaur Train and Wild Kratts, just to name a few. $96 Level - Receive Ruby's Kids Club Lanyard, Backpack, Sipper Tumbler, MemberCard and Preview Guide - all for $8 per month. $120 Level - Receive Ruby's Kids Club Lanyard, Backpack, Sipper Tumbler, T-Shirt, MemberCard and Preview Guide - all for $10 per month. If you would like to enroll your child or children, please call 1-800-410-2727. Call today! !